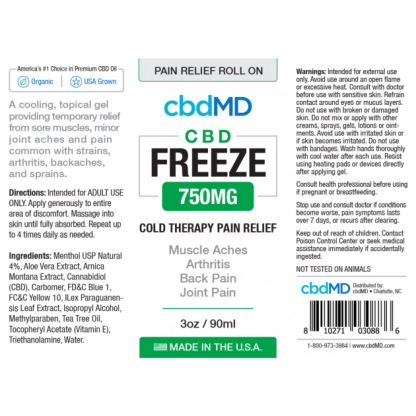 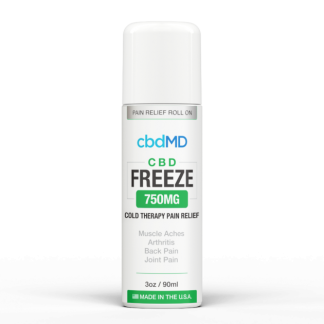 cbdMD Freeze Pain Relief Gel is the preferred topical for professional and recreational athletes across the United States. 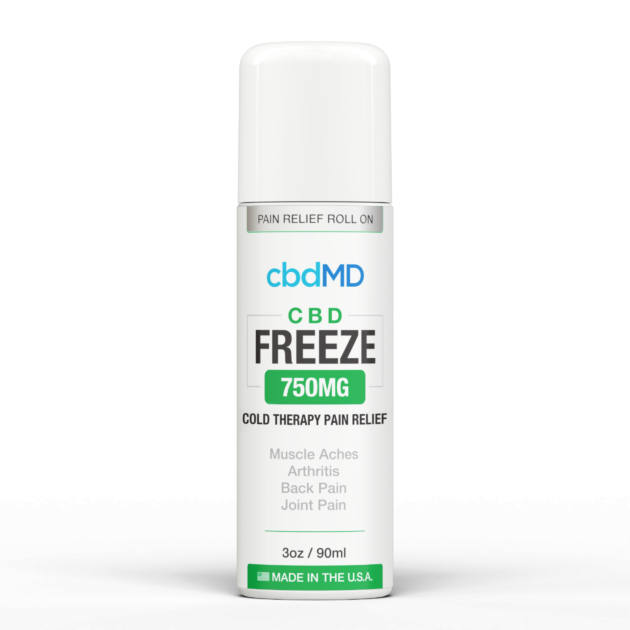 Strong enough for the most rigorous competitors yet formulated for a variety of skin types, it’s endorsed by nursing homes, on-the-go parents, and individuals suffering from chronic pain alike. With our proprietary ingredient mix, CBD Freeze is specifically crafted for alleviating joint pain, stiffness and muscular tenderness. 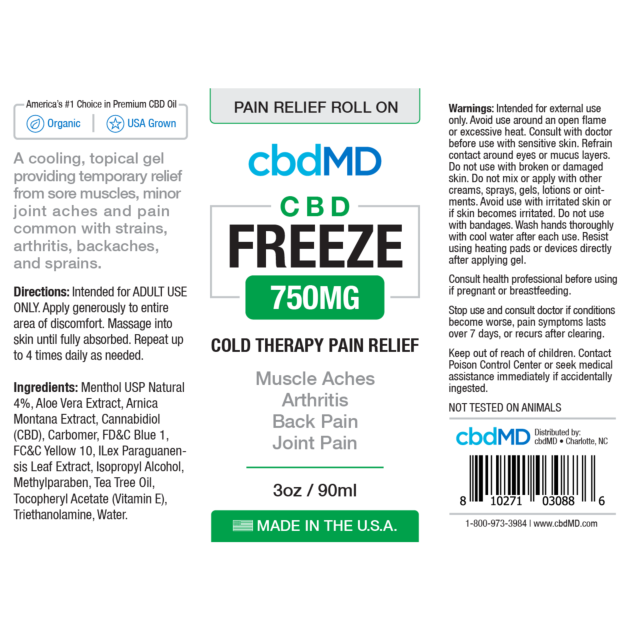 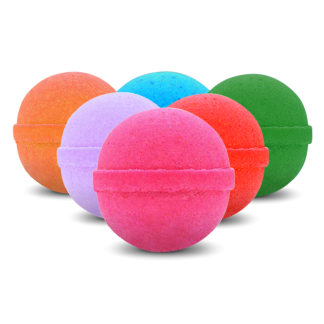 The product comes in two convenient options for users—a travel-friendly, fast-acting roll-on applicator, or a squeeze-tube form for dispensing control and optional massaging application if desired. 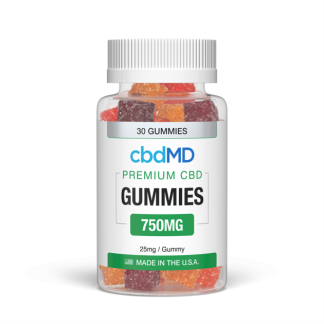 Both provide non-greasy, deep skin absorption and only contain premium grade CBD extracts from 100% organic, domestically grown and processed, non-GMO hemp.